Join your Association of Florida Colleges CF Chapter for a social event on Friday, April 26, at 5:30 p.m. at Picasso’s Palette, 106 S.W. 17th St., Ocala. 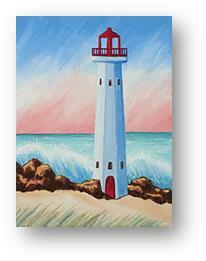 Come mingle with friends while creating your own 16″ x 20″ Coastal Lighthouse canvas memory to take with you. Instructions are provided and no knowledge of painting is required. Cost is $10 for the first 30 AFC members/$25 for non-members. Enjoy appetizers, wine and conversation. RSVP by Monday, April 22 to garciad@CF.edu.